It’s process, it’s patience, and it’s being open to the possibility of being inspired not once, but over and over again. There’s a difference between having a vision and being visionary, although it’s not a difference that you can see right away. Here’s a good example. 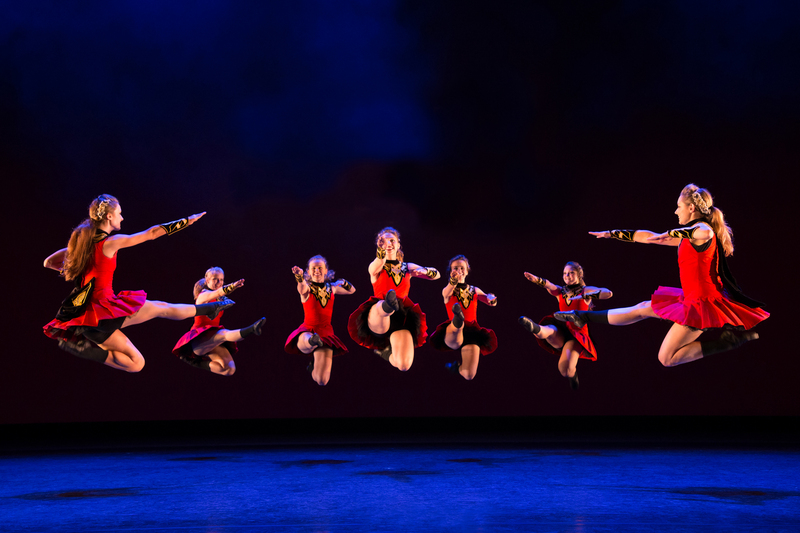 If you go to see Trinity Irish Dance Company at Chicago’s Auditorium Theatre (on Saturday, February 2nd at 7:30pm), you may very well be enchanted by the riveting visual pageant of intricately imagined movement, and you may be mesmerized by the complex rhythmic score. But if you’ve read any of the things people have said about this company, you might not be entirely surprised; their performances from New York to Tokyo and a lot of places in between get big time respect. What is more likely to surprise you is how unique, how completely in its own space this exceptionally creative performance is. You might very well think of it as a remarkably original creative vision, but it’s not, not exactly. It’s something much more than just a vision, because there’s a difference between having a vision and being visionary. What’s the difference? It’s process, it’s patience, and it’s being open to the possibility of being inspired not once, but over and over again. It’s a process that you can’t see unless you were there for all the years and for every vision that was revisited, maybe even rejected, and then reimagined. It’s patience, the patience to keep discovering what will be the next part of making an idea, one that nobody else has thought of, into a reality. Being visionary is the determination to keep finding each small creative vision, one after another, until they become an identity. Johnny Nevin: Trinity Irish Dance Company will be performing eight of your works, including two that you co-choreographed, at the Auditorium Theatre on February 2nd, and each explores its own thoughtful, carefully woven set of ideas. With your extensive experience in choreography, from concert halls around the world to broadcast and film, you must have a unique perspective on how the dynamics of Irish dance impact the vision of a choreographer. What are some of the ways in which movement is designed in the artistic realm of Irish dance, and how do you go about exploring ideas as complex as those that you, Chelsea Hoy and Michael Gardiner have developed in your new work, An Sorcas? Mark Howard: Because the chassis of Irish dance is mostly comprised of 6/8 and 2/4 time, finding imaginative new directions to take it in has always been a welcome but daunting challenge for me. Through a series of happy accidents during my formative years, I had to create my own vocabulary (progressive Irish dance) to enable the form to morph and evolve with integrity while keeping a clear lineage to the ancestors. Unfortunately, and fortunately, there are no instructions on how to create work on an Irish-American, non profit, performing arts, forward-looking, ensemble, rep dance company. Being the only ones who do what we do is at once a perk and a handicap. As a student, I grew up in Chicago learning a traditional form mostly relegated to competition, and regurgitating that competitive material at St Patrick’s Day parties or on Bozo’s Circus. I was never schooled in dance as structure through academia or as a member of a professional company. Not really knowing what I was doing was a strength that ultimately led me to this sort of unwavering confidence mixed with what feels like a requisite insecurity to not fail. It has taken legions of time to get to our current company and for me to be in a mentoring position. Their ability to collaborate combined with a unique athleticism has become a potent cocktail for us. Over the years, I’ve observed that most choreographers seem to have their go-to movement: certain patterns they often return to, tendencies that recur whether intended or not. This is something we try to avoid. I have no process to find my way to a quintessential Trinity-esque piece, but dancers, audiences, presenters and critics would tell you that there is a clear style as well as a distinct ethos. I think our company’s collective commitment to finding our way to work that we believe in has become critical to chart our way through the “creating something from nothing” quandary. For us, it’s about throwing everything and anything at the wall with as much misguided enthusiasm that we can muster, and then peeling away until we are left with something fresh that we would pay to see. Because there was no such thing as a professional Irish dance company when TIDC was launched in 1990, my inspirations all came from outside of the Irish dance world. Ethnically-inspired groups like Kodo and Ballet Folklórico de México got my attention, but it was Chicago’s contemporary community that shaped me. In my mid 20’s, I was lucky to meet and work with composer, Michael Kirkpatrick who was dating Mary Ward from Xsight!. They invited me to hang with them and I became fascinated with the MoMing venue and the artists that came through there. From there, it was all about the generosity of spirit found in folks who helped shape Chicago’s now thriving dance scene. If I was never encouraged by mentors like Tim O’Slynne, Brian Jeffery, Lane Alexander, Gail Calver, Harrison McEldowney and Carol Fox along with the Gus’s and the Lou’s…. Trinity Irish Dance Company would not exist. To understand that far-reaching ripple effect, consider this. Due to some of TIDC’s early work being the impetus for the commercial reaction that would follow, without the Chicago dance community, Riverdance would not exist. I had to create my own vocabulary (progressive Irish dance) to enable the form to morph and evolve with integrity while keeping a clear lineage to the ancestors. It’s important to note that we are not a contemporary company, but that world was an important learning ground for TIDC. Over time, our choreographic toolbox expanded through observation but also by working directly with New York-based choreographers like Sean Curran, who is the former lead dancer for Bill T. Jones, the founder of Sean Curran Company, and the current head of NYU’s dance department. Another early collaborator was Ashley Roland, a co-founder of ISO and BodyVox. I’ve never attempted to push our company beyond basic modern pedestrian movement, though. It’s been more about learning a taste level. The less is more and anything is possible attitudes. It has taken legions of time to get to our current company and for me to be in a mentoring position. Their ability to collaborate combined with a unique athleticism has become a potent cocktail for us. Young artists like Chelsea Hoy and Michael Gardiner are now thinking way outside of the box. Injecting social commentary into the work has been the next logical step for us, making works like An Sorcas (The Circus) possible. I believe nothing is out of their reach and it is intoxicating to finally be in a position to trust their instincts and get out of their way a little bit. I wish I could take credit for how good they make me look. Young artists like Chelsea Hoy and Michael Gardiner are now thinking way outside of the box. Injecting social commentary into the work has been the next logical step for us, making works like An Sorcas (The Circus) possible. Johnny: TIDC is a large company of both dancers and musicians, yet much of what we read and hear about the company suggests that there is a very strong spirit shared by the performers — a dedication to each other and to what all of you are doing together. Do you think that is related to the art form of Irish dance, or is it something more unique to TIDC? Mark: I think there is certainly a direct correlation between our ethos and the spirit of the Irish people. I have always found that Irish music connects with global audiences in a similar way to the Blues. Both born out of adversity, there is a visceral passion in that music that almost instantly disintegrates the divisions between people. As a reaction to that music, Irish dance becomes an obvious catalyst for connection. It’s percussive qualities tie us to the first sound we ever hear….the beat of our mother’s heart, and that spirit in turn ties the whole human race together. … it was Chicago’s contemporary community that shaped me … If I was never encouraged by mentors like Tim O’Slynne, Brian Jeffery, Lane Alexander, Gail Calver, Harrison McEldowney and Carol Fox along with the Gus’s and the Lou’s, Trinity Irish Dance Company would not exist. The unique spirit of the Company is maintained through careful casting. We look for highly intelligent, conscientious artists with no ego and a passion to make a difference in people’s lives through movement. Their dedication to each other and their craft is born out of so many things, but a few instantly come to mind: our mission to elevate, our roles as creators of a non-profit rep company in a space that is not being driven by money or commercial gain, and the knowledge that we are the tip of the spear in terms of saving our art form from the circus it can sometimes be. Chicago, IL 60605) on Saturday, February 2nd at 7:30pm. Tickets are available by phoning the Box Office (50 E Ida B Wells D) at 312.341.2300 or online from The Auditorium Theatre.